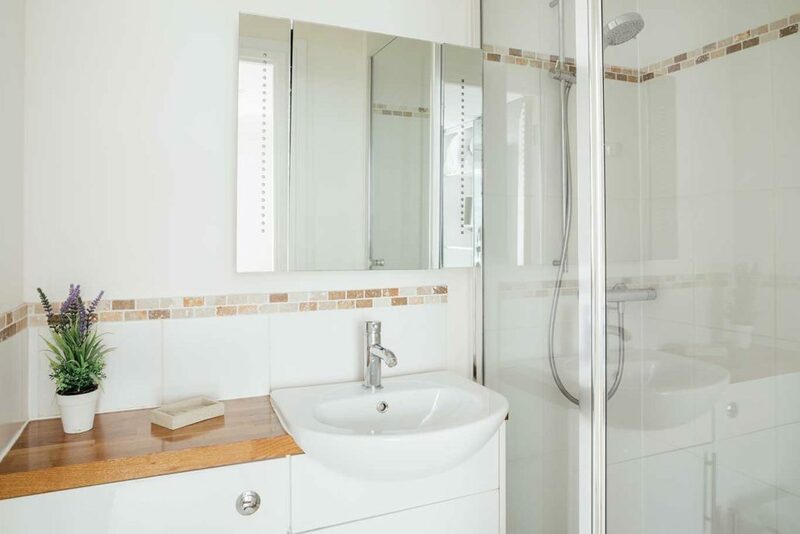 Light and spacious and centrally located 10 Fernlea Court is very well fitted property in central St Ives. 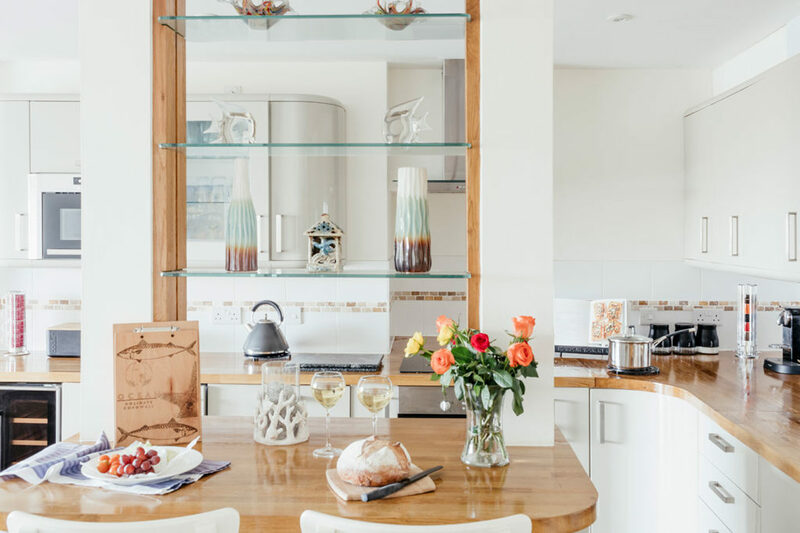 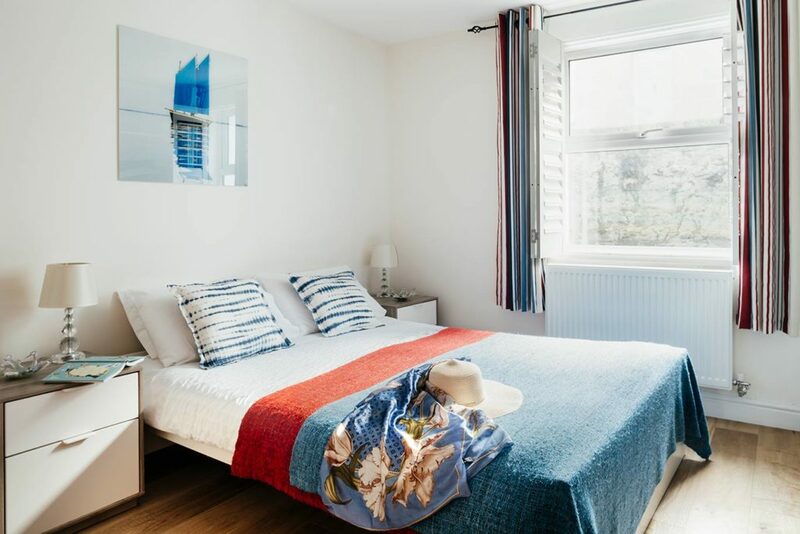 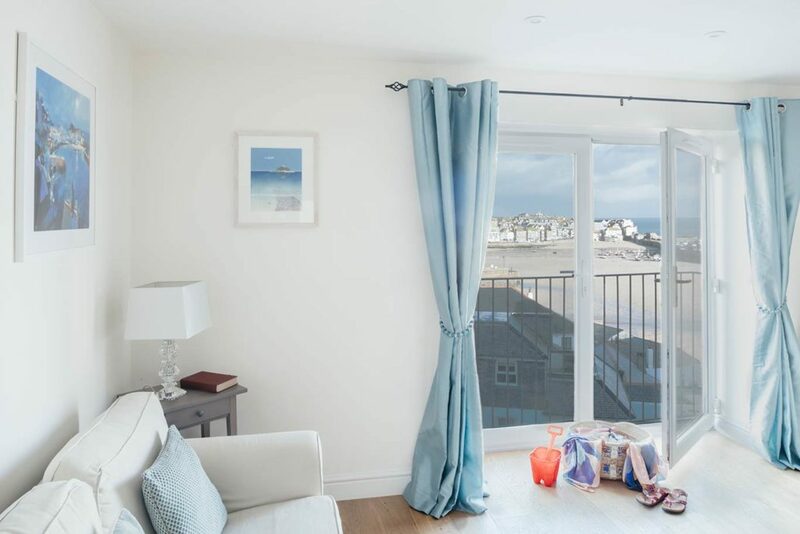 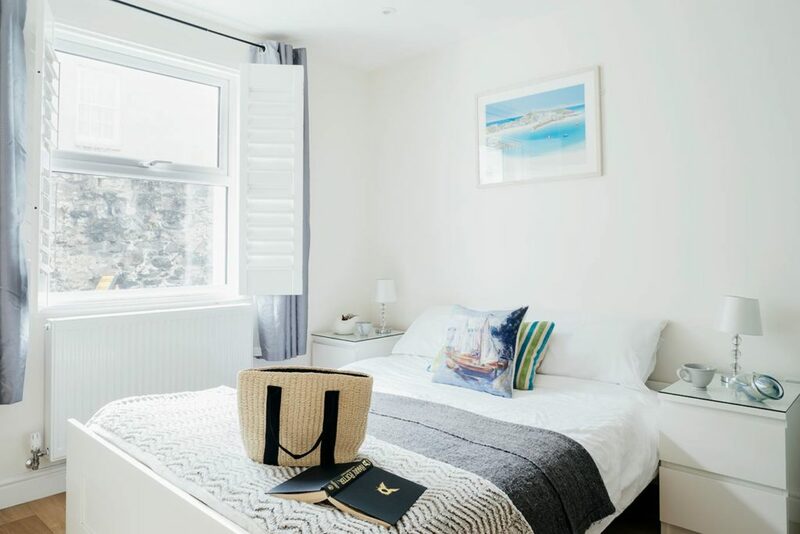 As you open the double doors to the Juliette balcony in the open plan living area you’ll be captivated by the clear blue waters of St Ives harbour, the boats bobbing and the reflections. 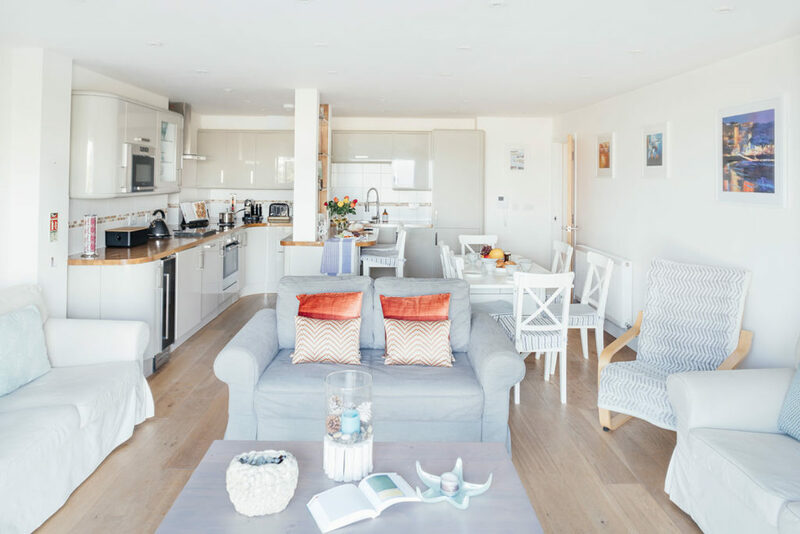 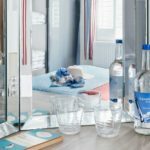 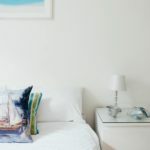 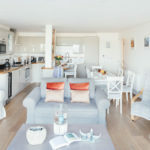 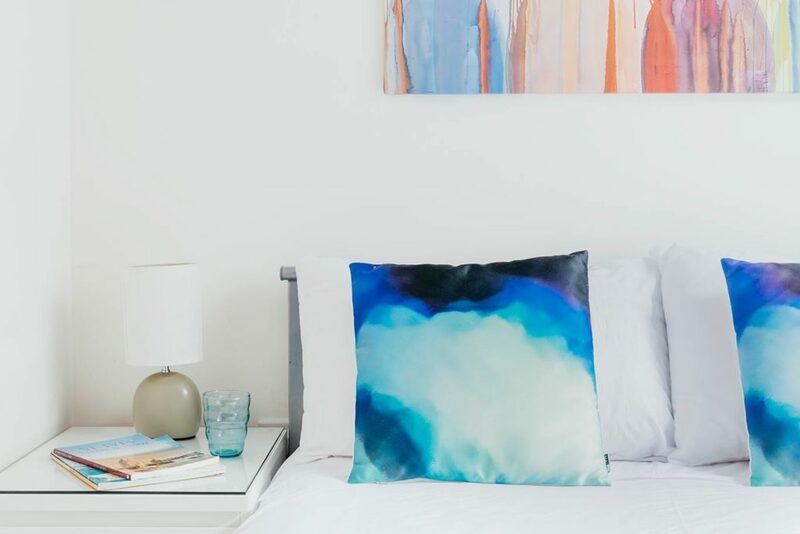 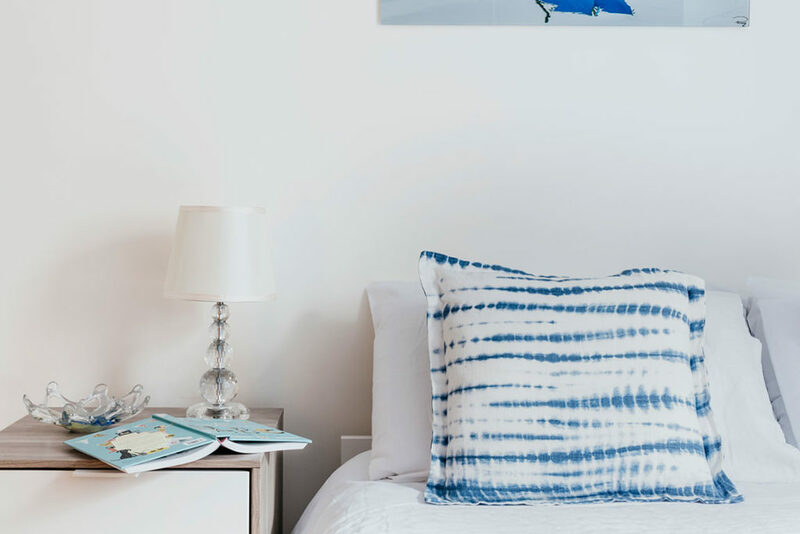 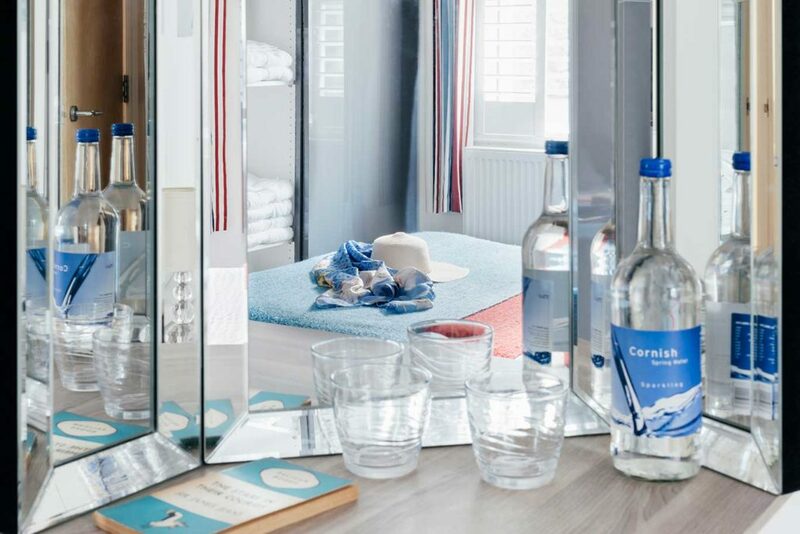 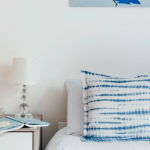 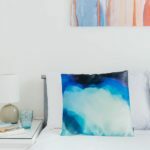 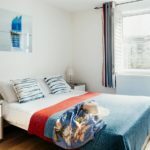 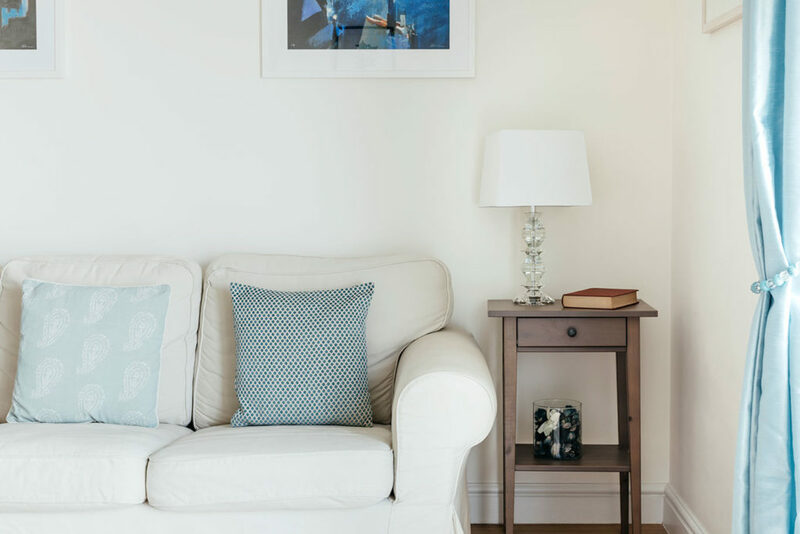 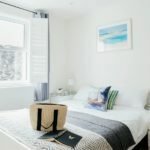 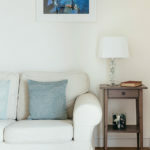 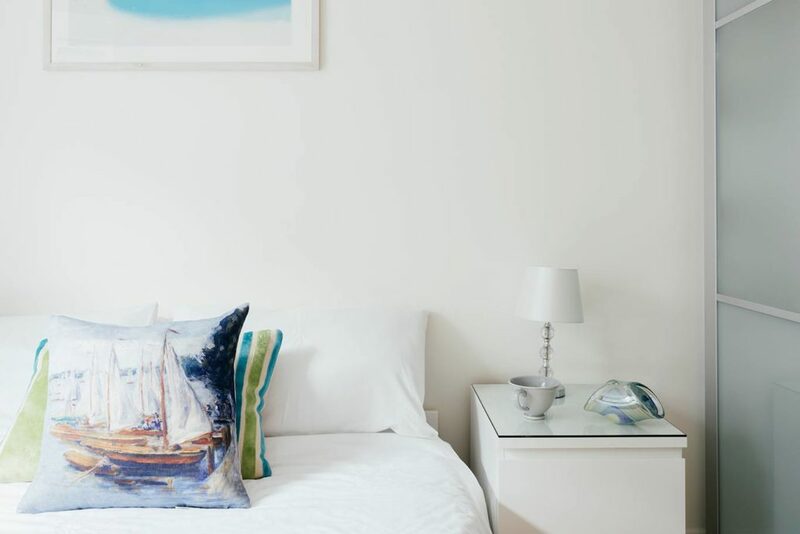 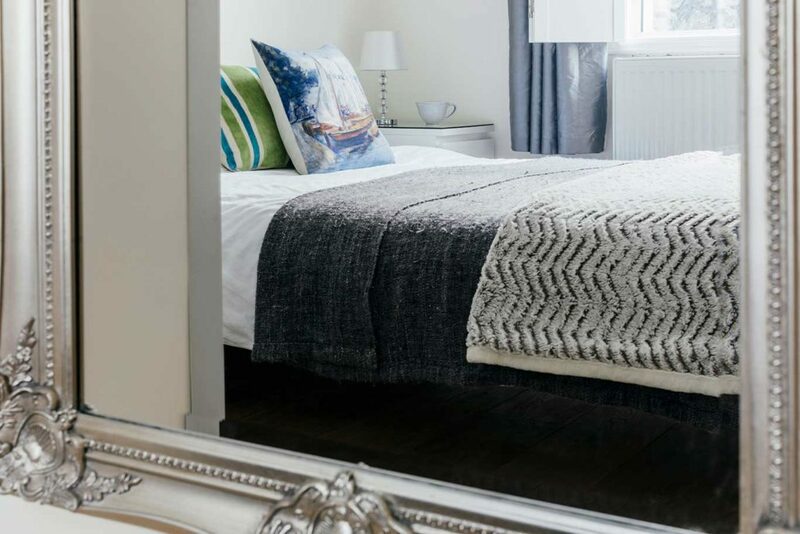 Carefully finished to offer a clever combination of coastal and luxury, with blue hues, light furnishings and all the fixtures and fittings you require for a comfortable stay. 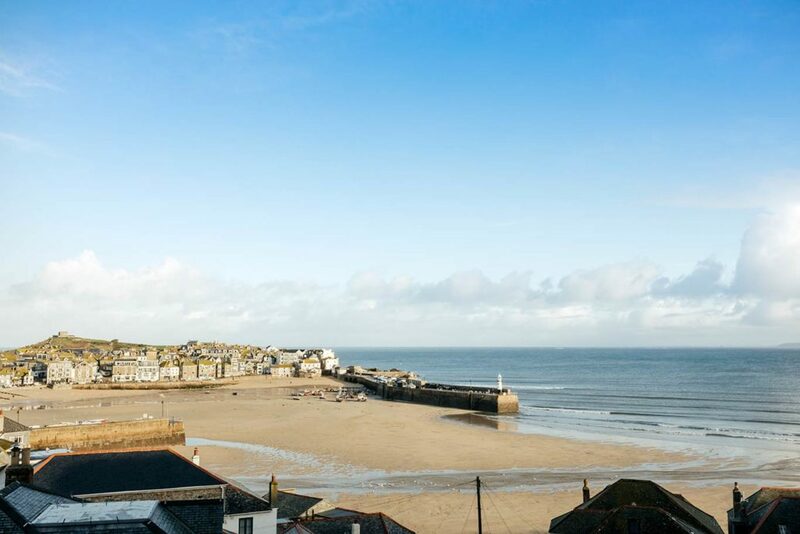 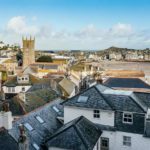 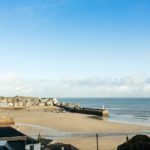 Sink into the leather sofas after a day trawling cobbled streets, painting or dipping your toes into the clear waters of St Ives. 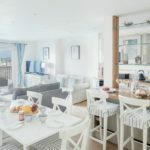 It’s a very sociable open plan living space with a dining table for six, a breakfast bar for two and plenty of soft seating for everyone in your party. 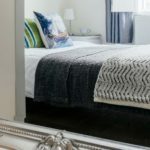 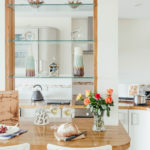 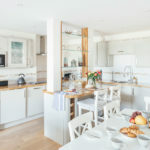 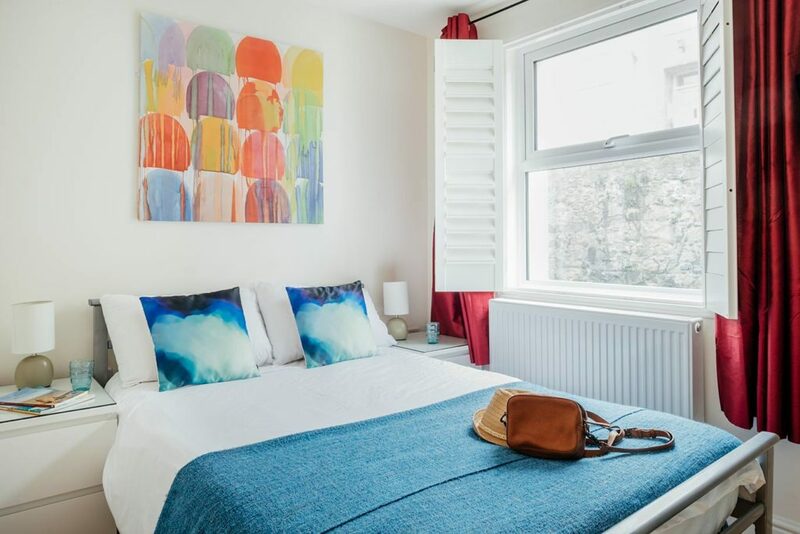 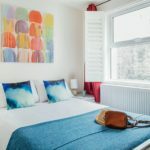 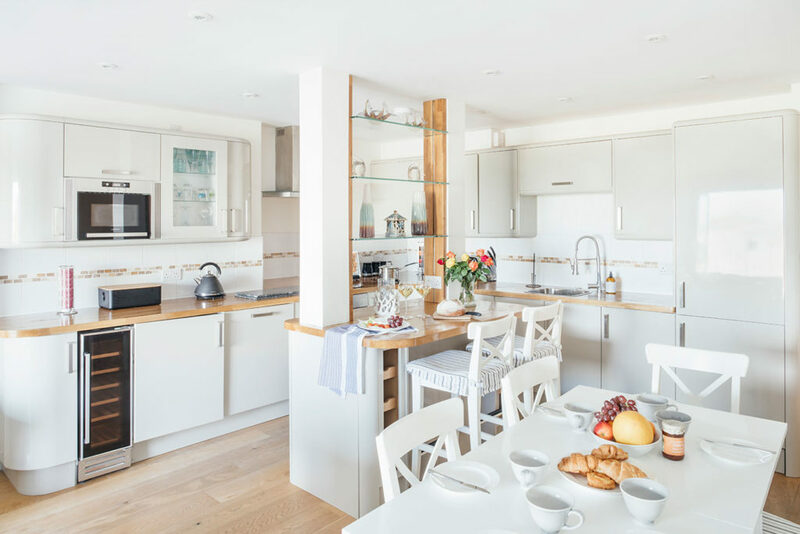 The kitchen is well equipped, including quality appliances, washer dryer and coffee machine, and if cooking is on the agenda there are award winning restaurants within very easy walking distance. 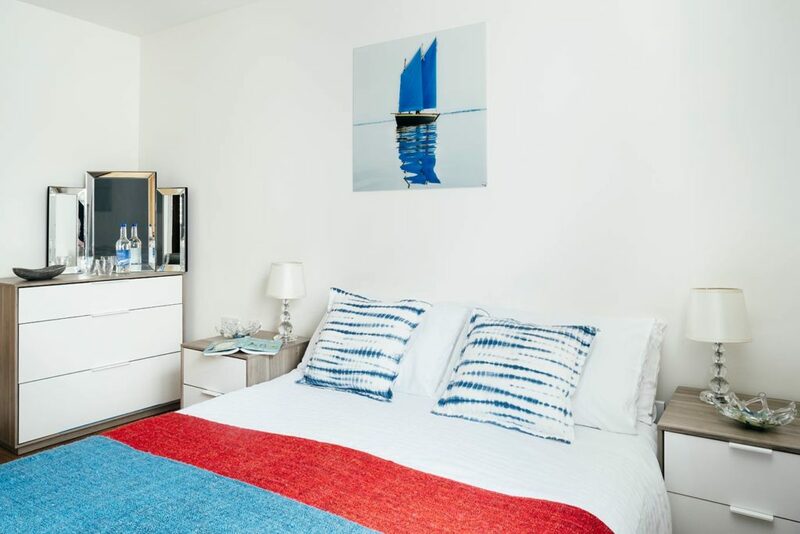 With three bedrooms, each featuring heavy duty wooden shutters, curtains and comfortable beds to ensure a good nights sleep. 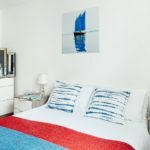 Bedrooms one and two both have standard double beds, the third bedroom a 4ft double. 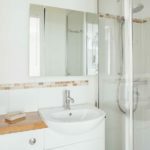 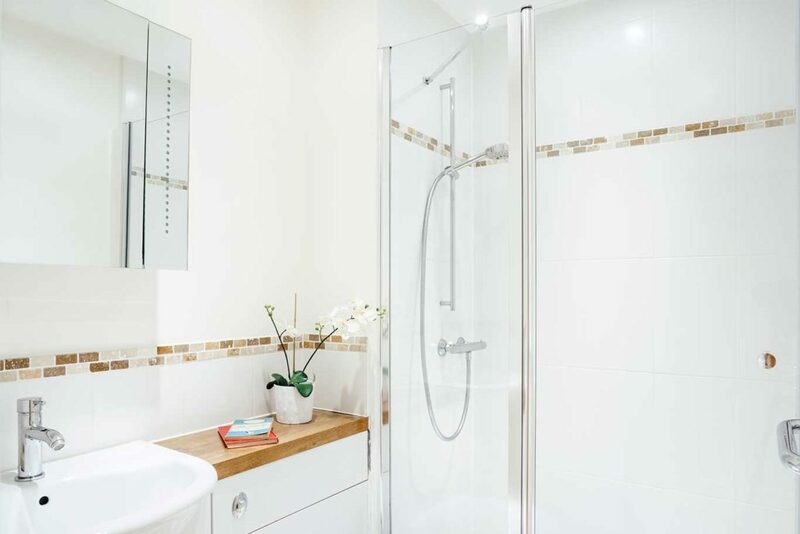 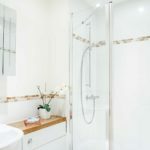 10 Fernlea Court has two shower rooms with wash basin, toilet and heated towel rails, one is an ensuite attached to the master bedroom. 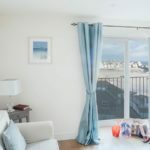 Access to 10 Fernlea Court is refreshingly easy, located a 2 minute walk from St Ives train station and just 30 seconds from the bus station, and with just one small step in the whole apartment. 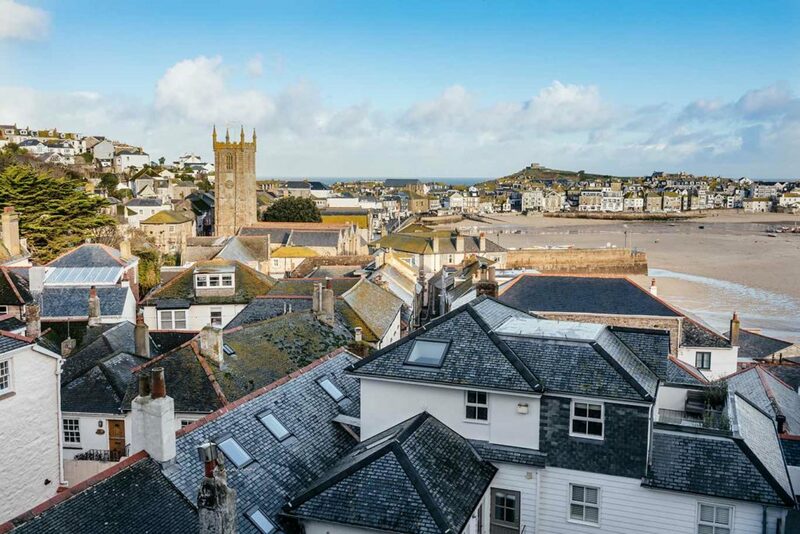 The nearest car park is the public pay and display Station Car Park and at least two other car parks are within a 5 minute walk. 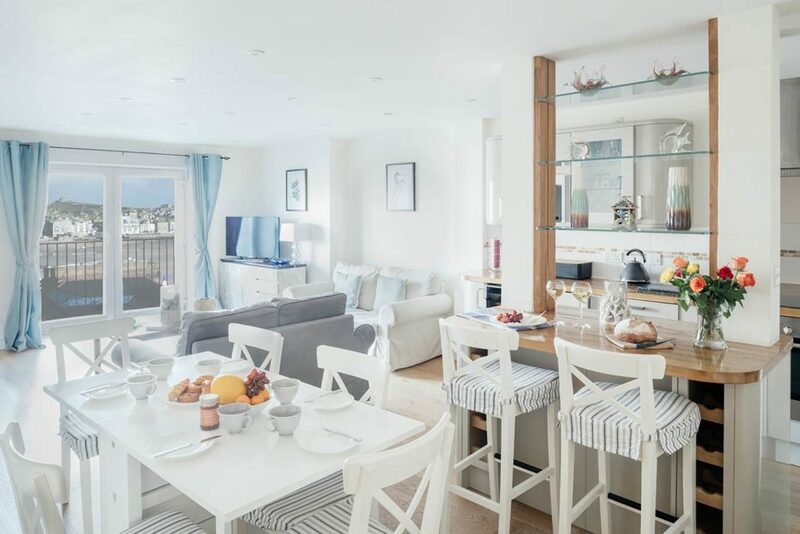 Also within easy reach is the heart of town, Porthminster beach (and the amazing Porthminster Beach Cafe), the harbour front and much much more.